I feel like I missed an announcement or something, but the store has been "down for maintenance" for quite a while. I've got a fair amount of shmuckers I'd like to spend, is there any plan for the store to come back? I'm not sure where else to post this, so let me be clear: this is not a demand or insistent request. Just wanted to say that the store seems down and has been for a few months for me. Is it something I'm doing or is this a known issue? Did I miss a news update? @kaosxi, there was a news update about some kind of new law in the USA which had to do with taxes where new functionality is needed for the shop. As far as I know there is work in progress. I assume the shop will be up in a while, after all Rob plans to sell the new books 3 and book 4 somehow. Once they are finished off course. 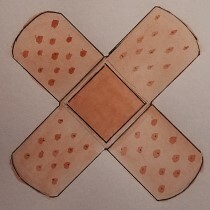 @Kaosxi - Bandaid is correct. We are in the process of upgrading the store. But we also had to move. Since our previous warehouse did not provide fulfillment (that was my job up until my diagnosis) we needed to also move all of our inventory (which is almost finished) to a fulfillment center. We need to be sure our inventory is accounted for and ready to go before we reopen the store. Anyone know if the store will be open in time for the holiday season? The recent news post indicated the store should be up soon after the Thanksgiving holiday, although it also indicated more would be described in another news post.